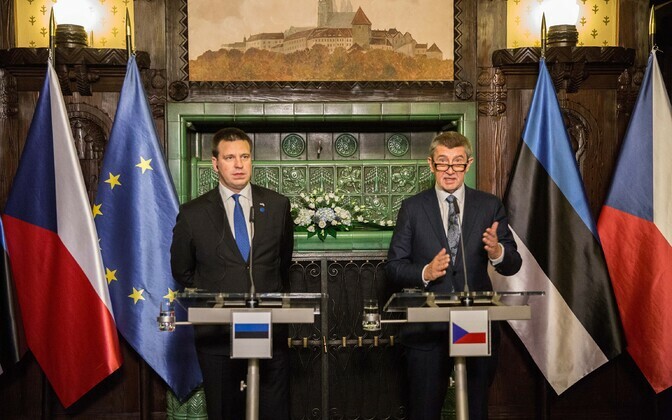 Prime Minister Jüri Ratas (Centre) on Friday assured Czech Prime Minister Andrej Babiš that Estonian experts and IT companies are prepared to support the Czech Republic in creating its own e-state, adding that Estonia in turn is interested in Czech experiences in the development of e-commerce. 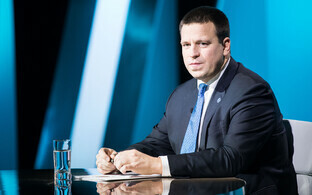 "Estonia and the Czech Republic are like two sides of the same coin when it comes to the development of digital society," Ratas said according to a government press release. "We are experienced in implementing national e-services; the Czech are more successful in e-commerce. Both states are aiming for both, and I hope that by learning from each other's experiences, we can increase the well-being of our people and the competitiveness of our economies." Developing and implementing national e-services is a priority for the Czech government. This summer, they launched a digital portal that offers 37 electronic services. The government now wants to introduce to people the benefits that accompany a digital identity. Later on Friday, Prime Minister Ratas will tell the story of the Estonian e-state as well as its plans for the future at the Czech-Estonian conference Digital Czech 2018+. At his meeting with Babiš, Ratas noted that the Estonian e-state has been built on the trust of the people as well as cooperation between Estonia's public and private sectors. "Our society values quality education and the development of digital skills in all ages," he explained. "Schools have implemented digital solutions, and knowledge about information technology is something that parents are very particular about." He also noted that cooperation could be improved between Estonian and Czech universities and researchers. Both heads of government affirmed that Estonian and Czech cooperation in defence and security is very good, and that they consider NATO a cornerstone for collective defence. The Armed Forces of the Czech Republic have contributed to the NATO battle groups in Latvia and Lithuania as well as the Baltic Air Policing mission. Next year, troops from the Czech Air Force will come to Ämari Air Base for the first time. In the field of cyber cooperation, Estonian and Czech experts have listed recommendations for electronic protection of elections, and earned significant international interest. Both countries consider battling hybrid threats and disinformation important not only within the EU, but also in the Western Balkans and Eastern Partnership countries as well. According to the government press release, Estonian and Czech economic relations show room for improvement, as the Czech Republic is currently Estonia's 18th biggest partner in trade. The Czech market could be a suitable place for Estonian wood products, while the Czech are interested in Estonian startups. 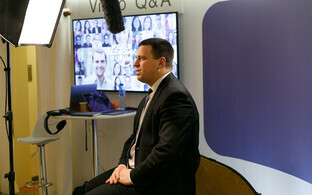 On Friday afternoon, Ratas will also visit Estonian company Pipedrive's Prague office, where he will explore practical solutions for expanding Estonian companies to the Czech Republic. At their meeting, Ratas and Babiš also discussed the state of Brexit negotiations ahead of the European Council meeting on 25 November, as well as EU budget proposals for 2021-2027. While in Prague, the prime minister is also scheduled to meet with Speaker of the Chamber of Deputies Radek Vondráček as well as President of the Senate Jaroslav Kubera. He will also place a wreath at the Czechoslovak Legion memorial to mark the 100th anniversary of Czechoslovakia. Ratas will return to Estonia on Friday night.